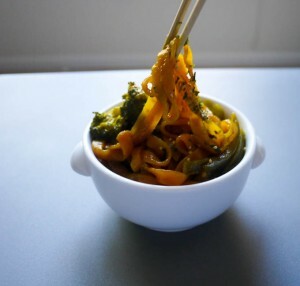 If you haven’t had them before, use something else like gluten-free noodles, spaghetti squash, or strips of sautéed cabbage. 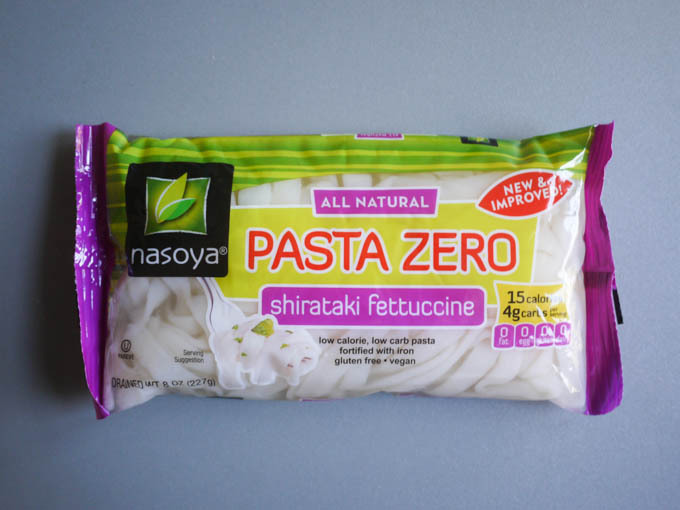 People have some really strong feelings about these noodles, and I agree that they can taste a bit like trying to chew rubber bands. They aren’t something I eat regularly, but I don’t hate them. (Talk about damning with faint praise.) 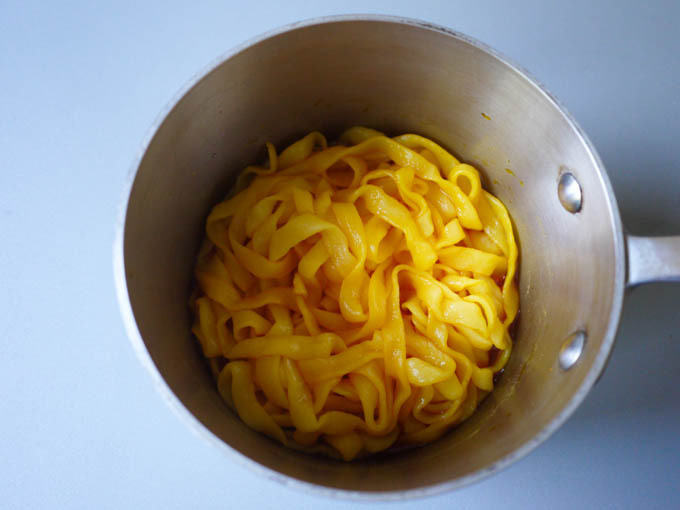 Anyhow, if you know the particular beast that is these noodles and you don’t mind them, follow the directions in their entirety. Okay, let’s go! 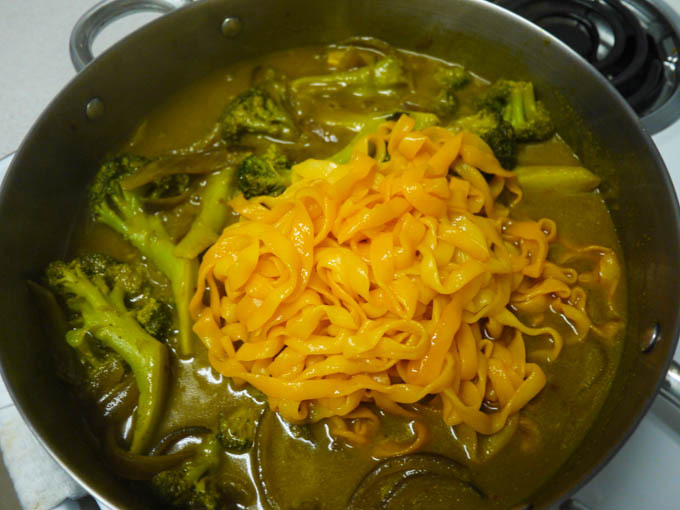 Chewy noodles in a rich Japanese curry sauce with tender broccoli spears and thick slices of red onion. 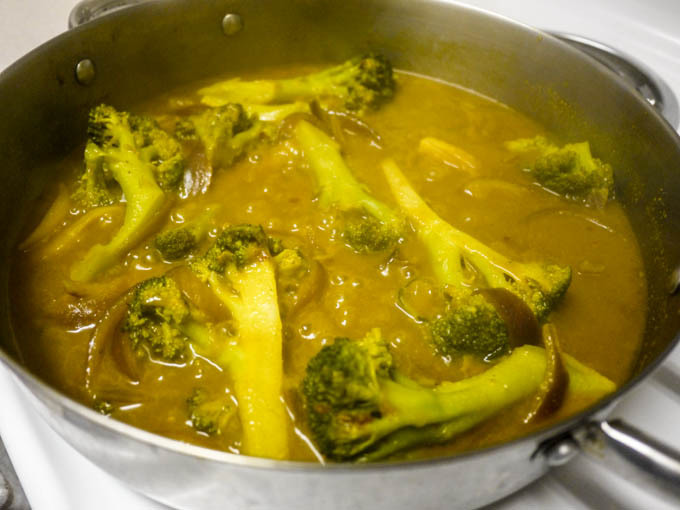 Add Amarillo Yellow Coloring to ½ cup of hot water and stir to dissolve. Drain shirataki noodles and toss in the colored water until each noodle is a vibrant orange. 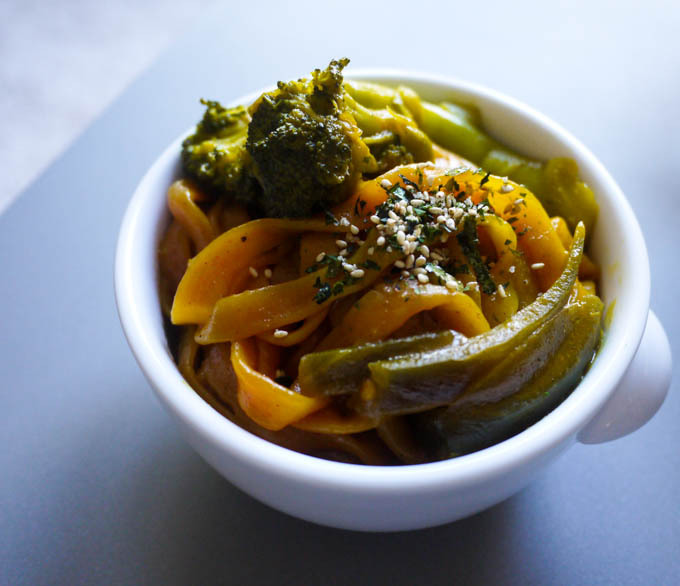 This step is optional, but it makes the dish look a lot more appealing. 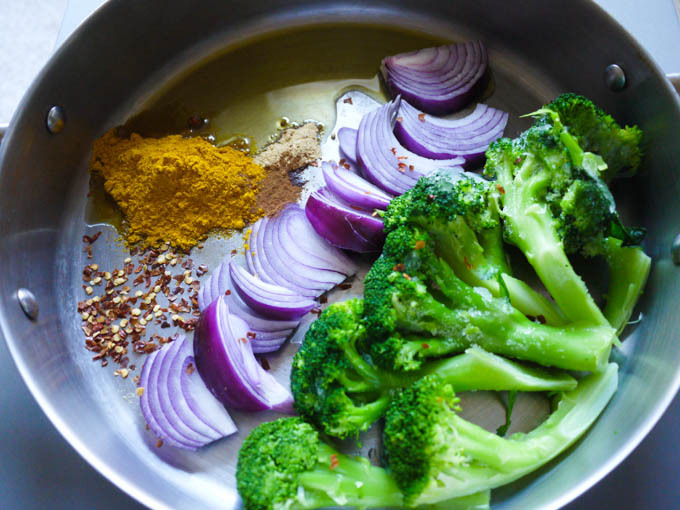 Add sesame oil, olive oil, red onion, broccoli spears, red pepper flakes, curry powder, ground cinnamon, ground ginger to skillet. Cook on medium high heat for 2 minutes, stirring to make sure everything is coated with the oil and spices. 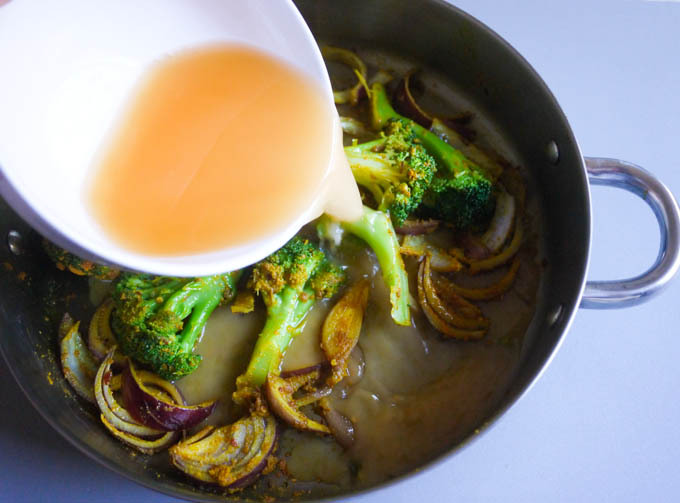 Combine vegetable broth, ½ cup water, and cornstarch and add to skillet. 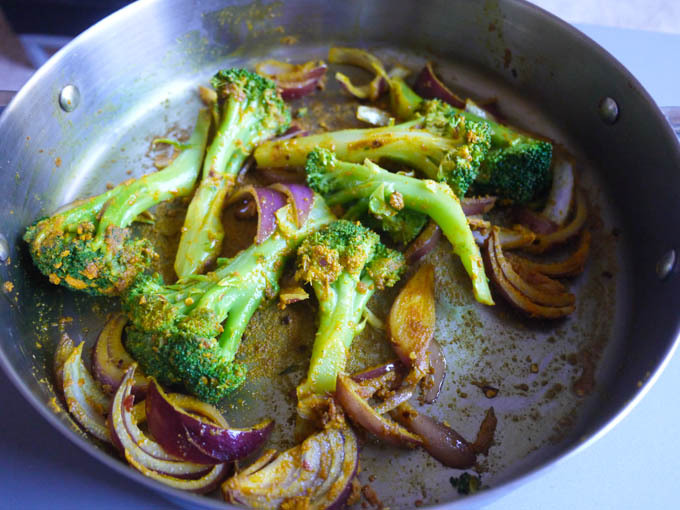 Bring to a boil, cover and cook on medium heat for 15 minutes, until broccoli is tender. 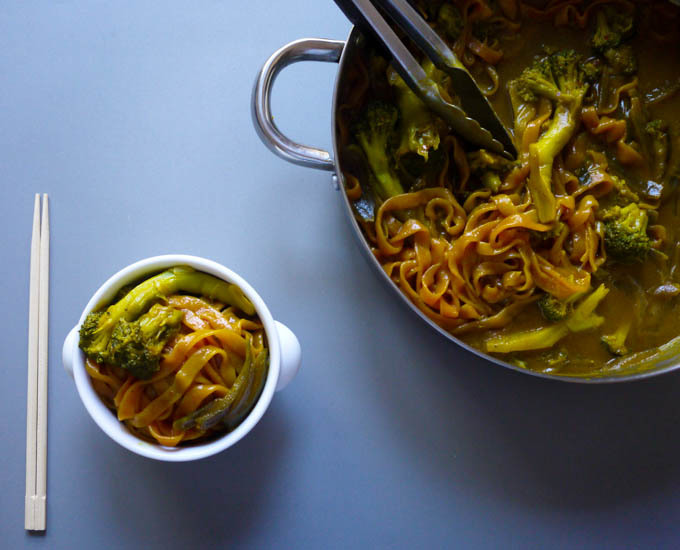 Cook on medium high heat for approximately 5 minutes, stirring to make sure each noodle is coated in the curry sauce. If you’d like, sprinkle on a bit of furikake. 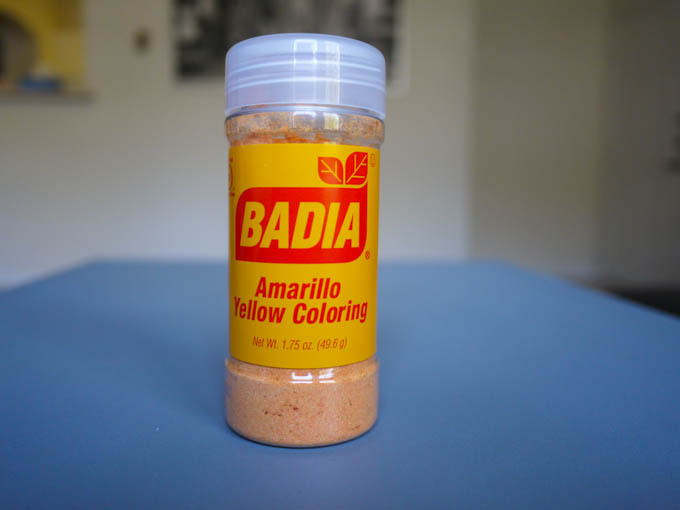 Add Amarillo Yellow Coloring (pictured below) to ½ cup of hot water and stir to dissolve. 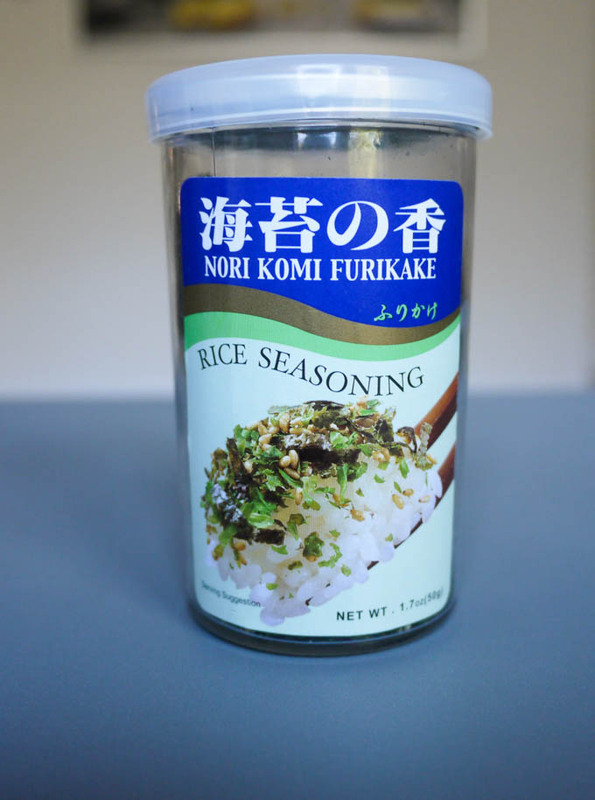 If you’d like, sprinkle on a bit of furikake (a mixture of sesame seeds, salt, sugar and seaweed).